If you read my Copycat Wendy’s Frosty post, you’ll remember that I just got a new ice cream maker that I love! And so we have been going a little homemade ice cream crazy at my house. And I couldn’t wait to try adding things into the basic ice cream recipes to make them even yummier. 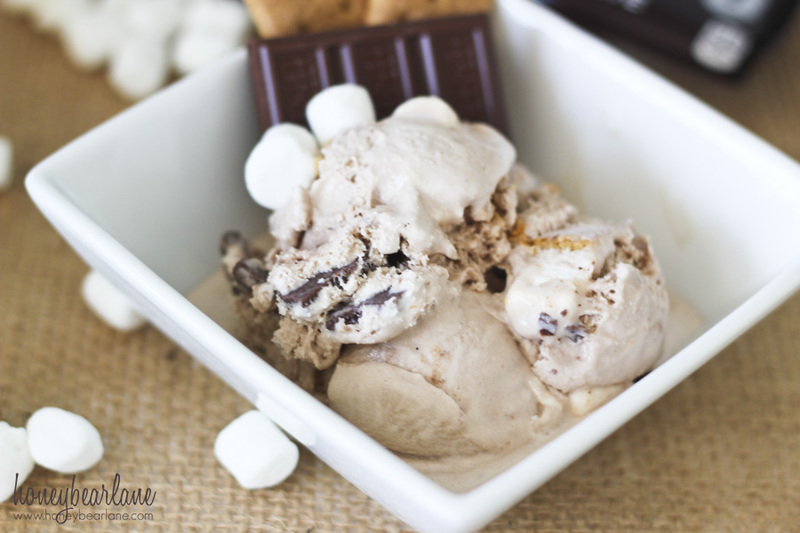 This recipe starts with a super basic vanilla ice cream recipe, with a few added things that turn it into s’mores! 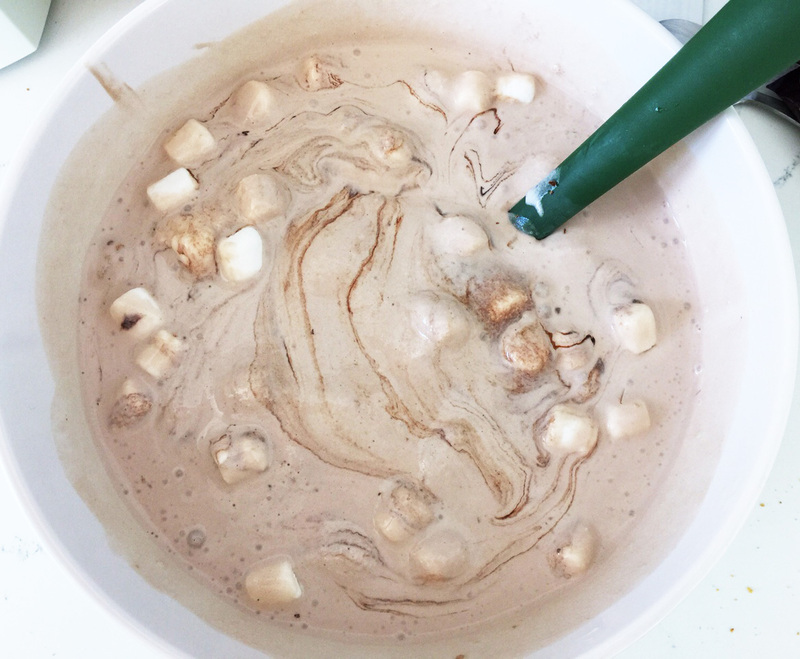 First you mix up all the ingredients (I used my KitchenAid mixer, it’s always the easiest.) Heavy cream, half-and-half, sugar, vanilla. Then after that’s mixed, you add in the tub of marshmallow creme. It’s kind of a pain to scoop out because it’s so sticky but it’s worth it. After that’s all mixed up, pour it into the ice cream maker and run it according to the manufacturer directions. Mine is a Cuisine Art which doesn’t require rock salt or ice and it’s so great. You just keep the bowl in the freezer (it has a built in water/ice insulator that needs to be frozen to work) and take it out when you want to make ice cream. Very convenient. Caveat–the bowl needs to be frozen for at least 24 hours for the best results! I ran the ice cream maker for about 20 minutes and it had thickened up nicely. 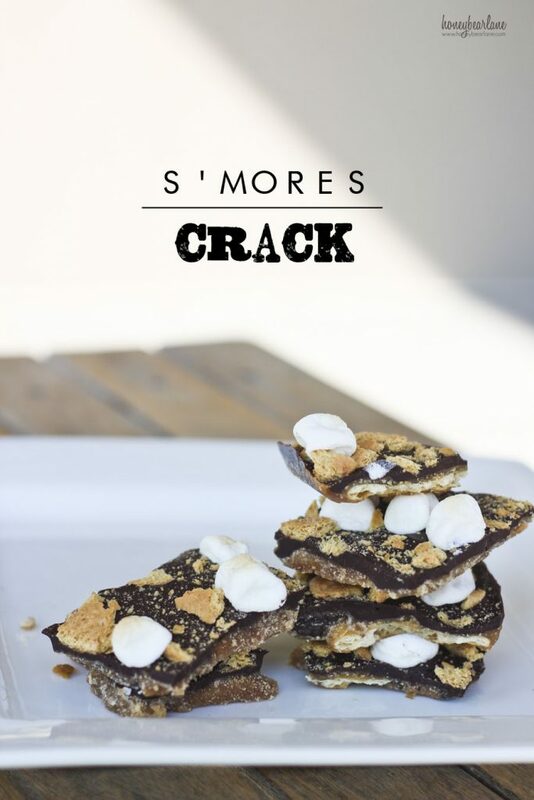 Right before I stopped it, I added in all the ‘mix-ins’: crumbled graham crackers, chopped pieces of Hershey milk chocolate bars (I used 4 bars!) and mini marshmallows. I also poured in about 1/8th cup of Hershey chocolate syrup because I wanted it more chocolatey. You could use fudge instead if you prefer, that wouldn’t get mixed in quite as much and leave you more with a vanilla ice cream with fudge in some spots. After it was all mixed up, I turned off the ice cream maker. It was yummy then, but I poured it into a bowl and froze it more so it would get that hardened ice cream consistency. That’s it! It was definitely a rich dessert but super good. Did you know National S’mores Day is August 10th? What a delicious holiday! 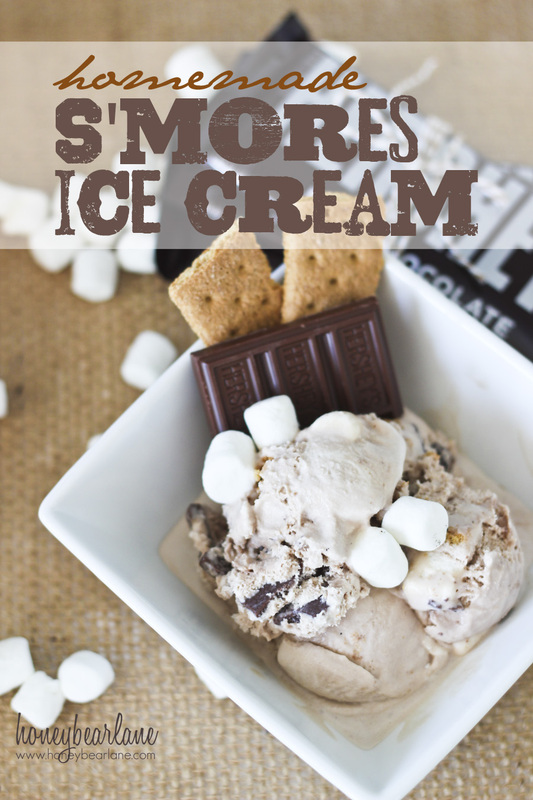 You could totally make this or pick another yummy s’mores recipe! 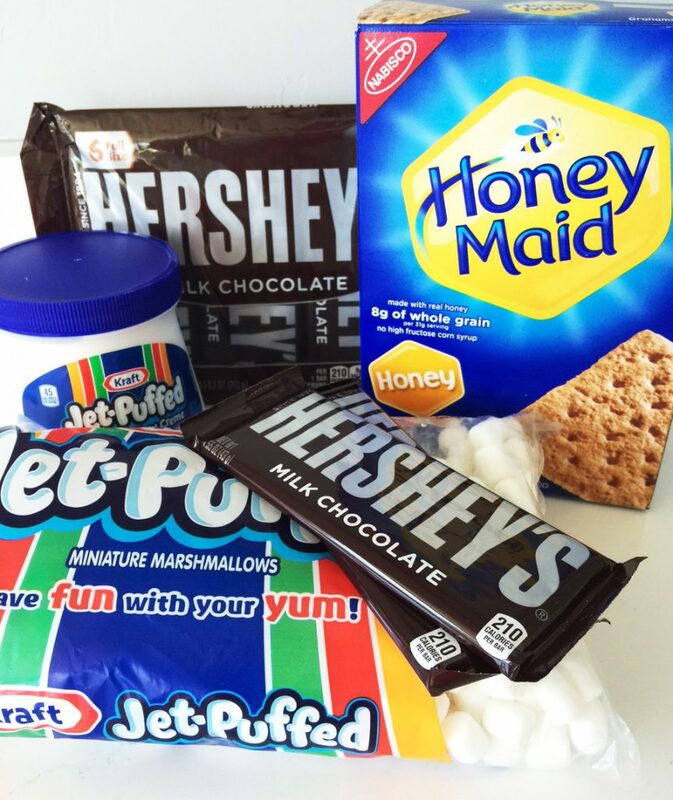 Visit Celebrate with Hershey’s for more crafts, recipes, and inspiration! 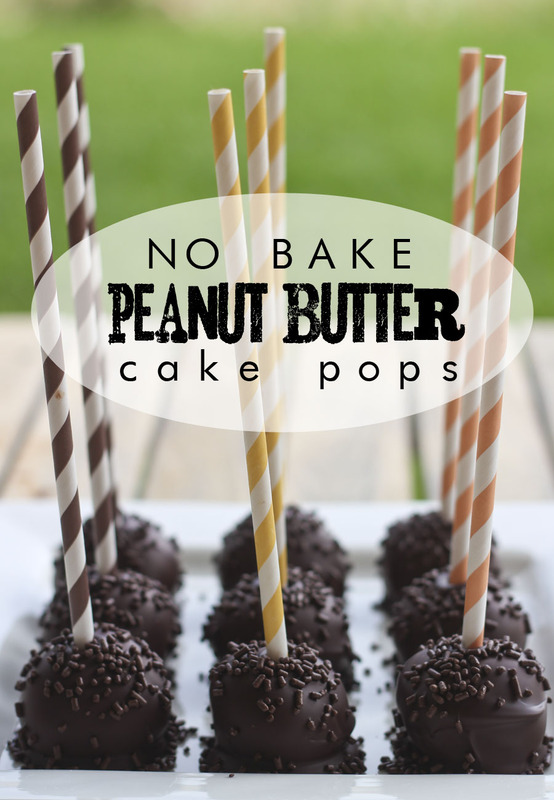 If you liked this post, check out some of these yummy recipes!